Could you help us give a joyride to a senior Weim in need? We are looking for folks willing to help us move senior Weims to safety all over the US. Saving innocent lives – it doesn’t get more joyful than that! Miles driven and any supplies needed for transport are generally tax-deductible. Please consult your preparer to be sure. If you would like to be included on our Joyride Team, please fill out the form below. We will contact you when a senior Weim near you needs to hitch a ride. 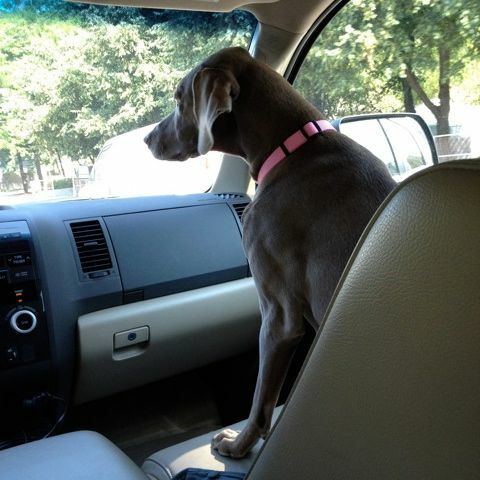 Would you be interested in being on our Joyride list to drive senior Weims in your area to safety? Thank you so much for taking the time to apply!